T1 Circuit Special - $239 a month! + Free Unlimited Web Hosting! For a limited time only ISOMEDIA is offering a Full Symmetrical T1 for just $239 a month PLUS Unlimited Small Business Web Hosting for FREE! In addition, for a limited time, ISOMEDIA is also offering customer premise equipment (CPE), setup and installation absolutely FREE! You just pay $239 a month! There are no rebates to redeem or special restrictions to worry about; you save instantly. This is a savings of over $3,500 to you! 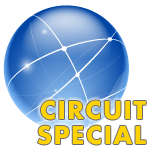 ISOMEDIA's T1 Circuit Special - Everything Your Company Needs! NO REBATES or special forms to fill out - Limited Time Offer! Note: T1 prices vary by region. Call, or sign-up online now, to qualify your locations and get the best T1 deal available today! Call 1-866-838-4389 and an ISOMEDIA Sales Representative will be happy to assist you in ordering your T1 Circuit today.